21 October 2011 by J.M. 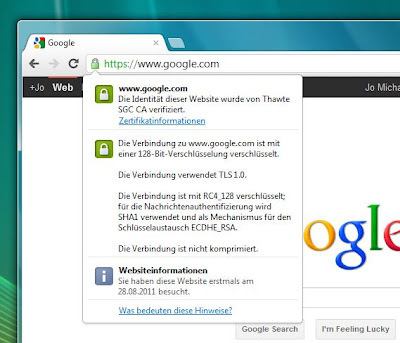 The Google web search is soon going to be encrypted by default. This applies Google’s promise from 2009. Starting in January 2010, Google had introduced SSL encryption for its Gmail website. Within the coming weeks, many users having a Google account will be redirected to Google’s encrypted web search. Search terms and the result pages are sent via SSL. You may access the encrypted version directly by browsing to https://www.google.com/.